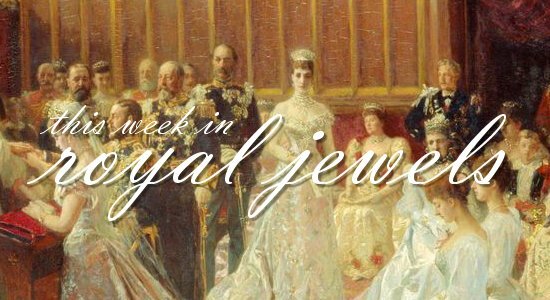 Magpies, you know it's an amazing royal jewel week when you have to have two jewel roundups! 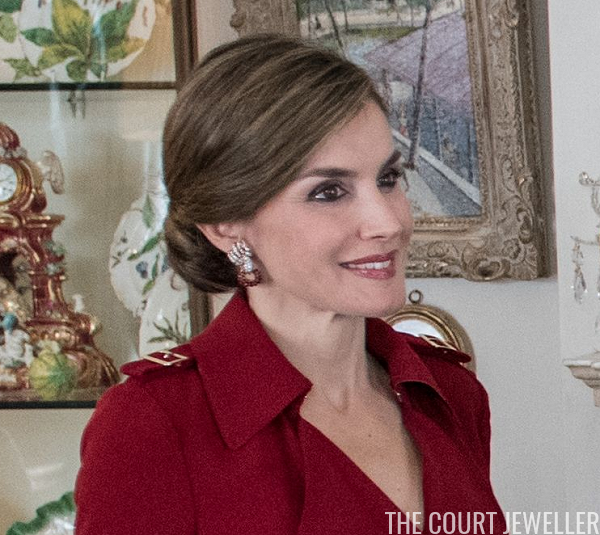 These are the best non-tiara royal jewels of the week. 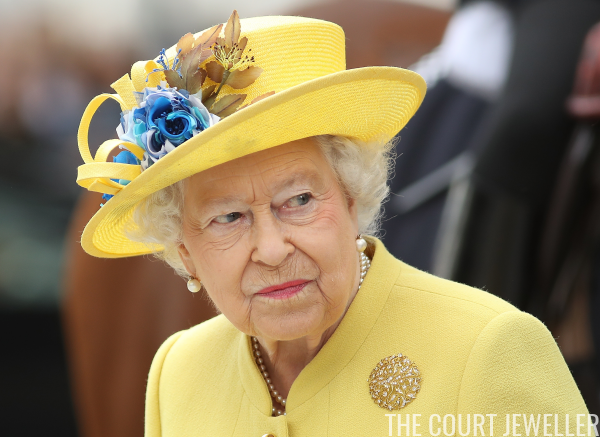 Stay tuned shortly for a roundup FULL of tiaras, and be sure to vote in both polls! 10. 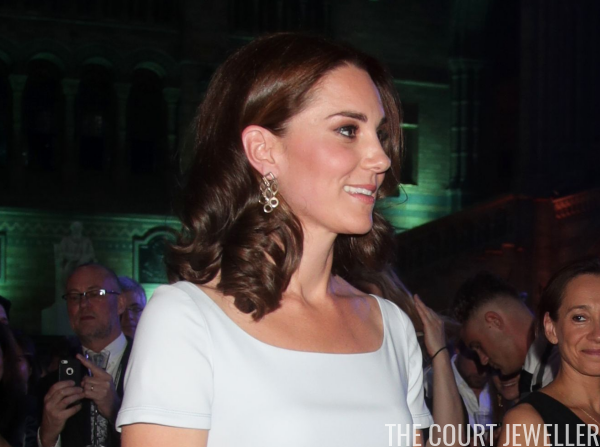 The Duchess of Cambridge wore the Temple of Heaven girandole earrings by Cassandra Goad for the reopening of Hintze Hall at the Natural History Museum in London on Thursday. Photo: Svenja from Castleholic. Do not reproduce. 8. 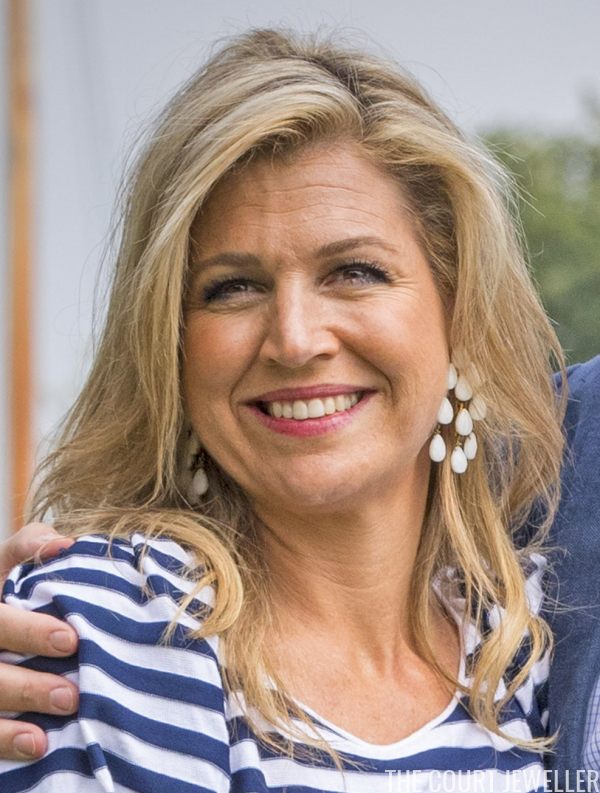 Queen Maxima of the Netherlands chose bright white statement earrings on Saturday for the royal family's annual summer photo call, which was held this year in Warmond. 6. 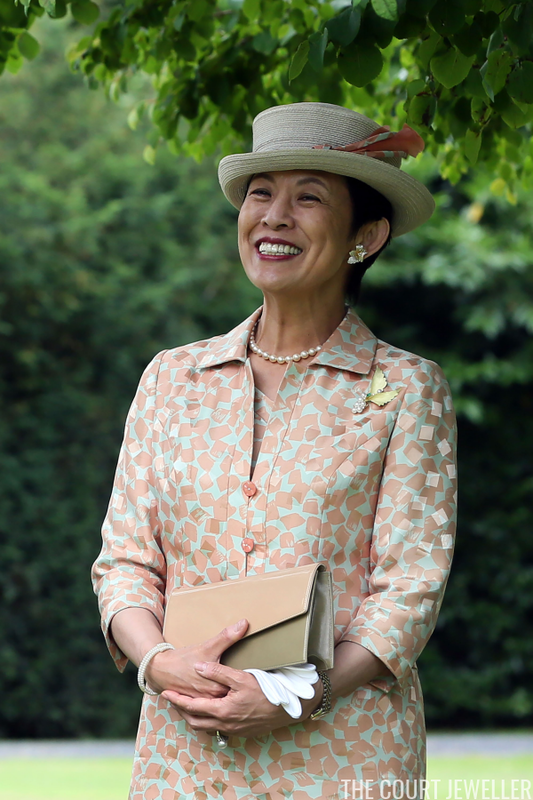 Japan's Princess Takamado made an official visit to Ireland this week; for Saturday's visit to the presidential residence in Phoenix Park, she wore gold and pearl jewels, including a brooch and earrings with leafy designs. 5. 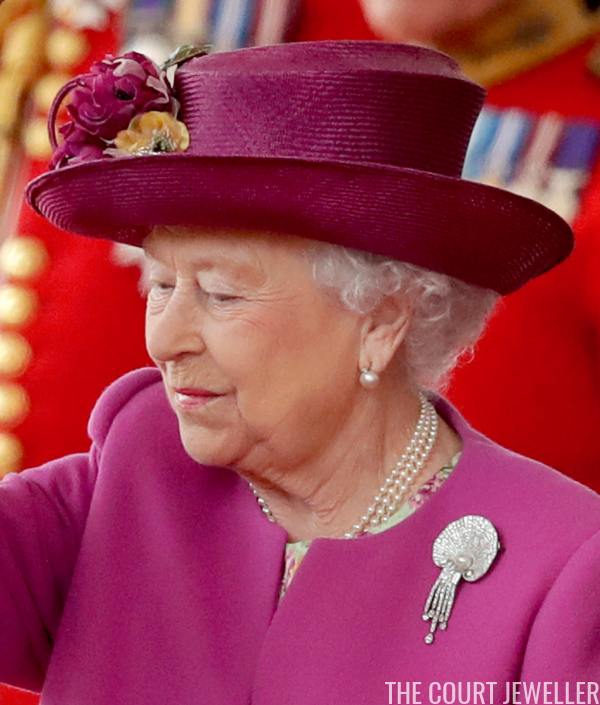 Queen Elizabeth II of the United Kingdom wore a recent favorite jewel, the Peranakan-style Birds of Paradise Brooch, to open the new headquarters of the Metropolitan Police at New Scotland Yard in London on Thursday. 3. 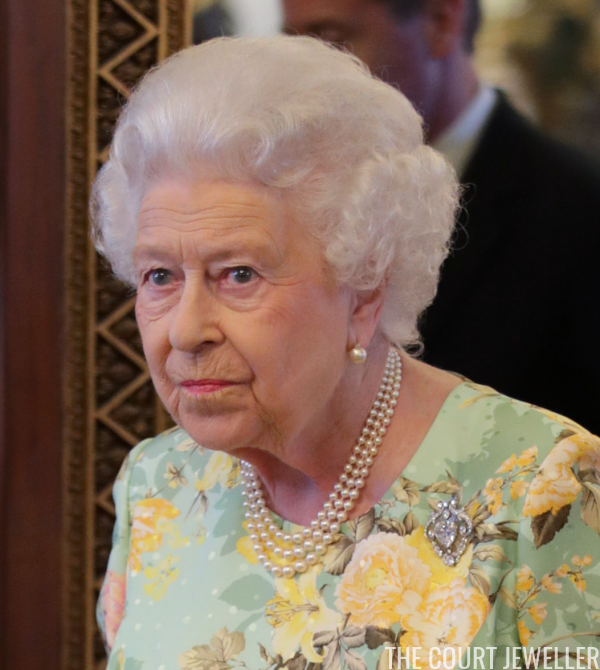 The Cullinan V Brooch was Queen Elizabeth II's choice for a reception for winners of The Queen's Awards for Enterprise on Tuesday. 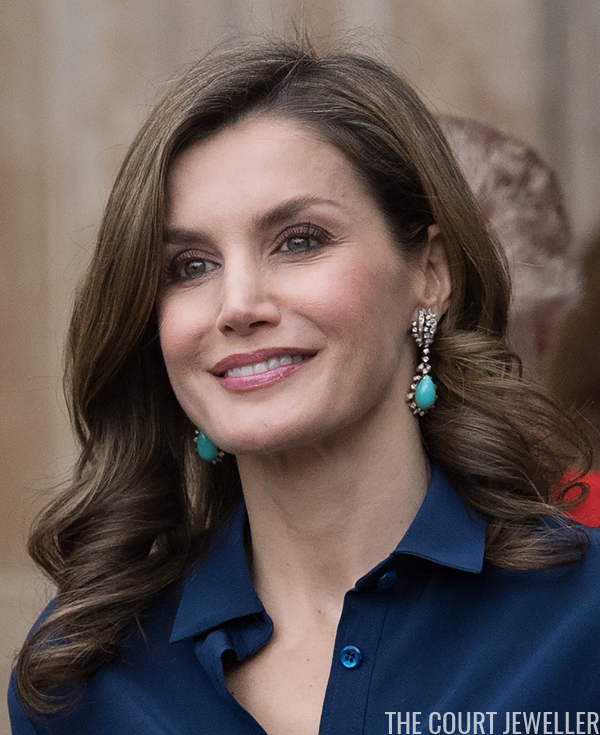 Which (non-tiara) royal jewelry gets the win this week?